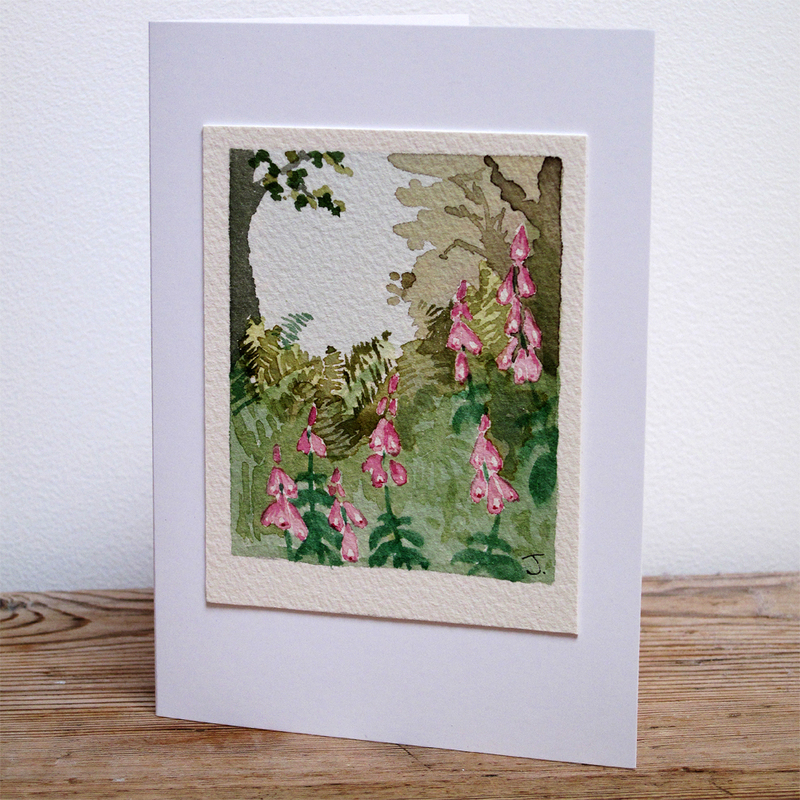 This is an original watercolour painting of Foxgloves by Jessica Coote. 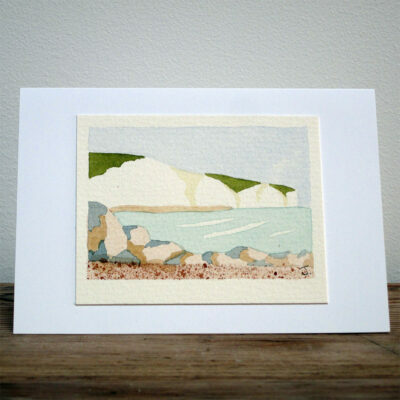 All of the watercolour paintings on this website are original paintings, not prints of original paintings. Therefore, if you choose to make a purchase today, you will be purchasing a painting, not a print or cheap reproduction of some kind. These watercolours are painted on the highest grade of watercolour paper made by Arches with the highest grade of watercolour paints. 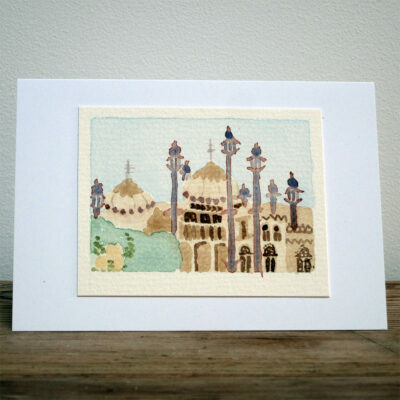 As seen in the photographs, my paintings come carefully mounted on white card. When presented in this way, they make an excellent and unique gift card for a special occasion such as a birthday, wedding anniversary, christening or even Christmas. 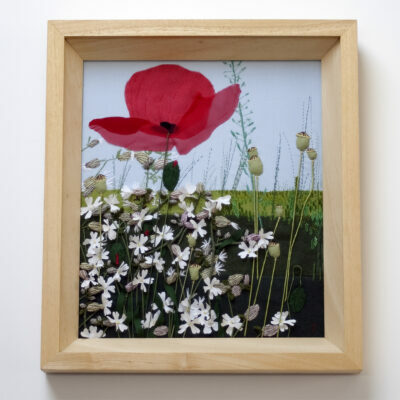 However, they are also extremely easy to frame and look great when framed and displayed in numbers (three or more look fantastic on a wall). 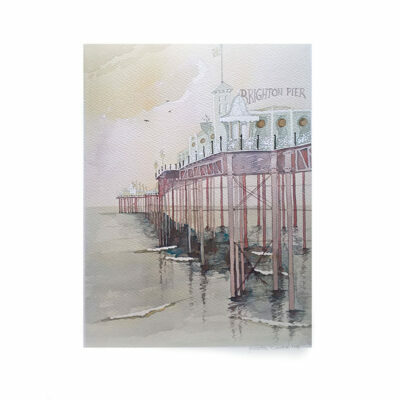 Because this is a real watercolour painting, please treat it with care – do not leave it exposed to harsh daylight, or it will begin to fade. It is possible to order more than 1 copy of the same painting. Because I paint multiple copies of each scene, the painting that you receive may vary slightly from the one shown in the photograph on this page. 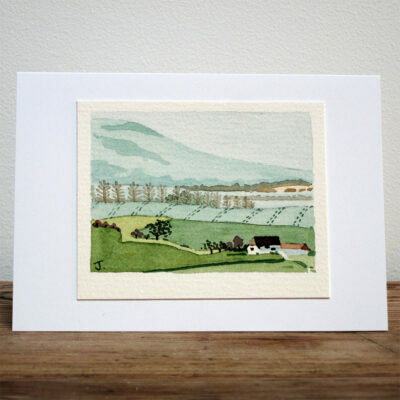 My watercolour paintings are very closely related to my project about The South Downs National Park. Since childhood, I have been inspired by the changing moods of South Downs, and fascinated by the diverse range of flora and fauna which thrive here (including rare birds, snakes and lizards, butterflies and grasshoppers, and many species of fragile native plants). To my delight, on the 12th of November 2009, Hilary Benn (Secretary of State for Environment, Food and Rural Affairs) announced that the South Downs has received National Park status, and confirmed its boundary. 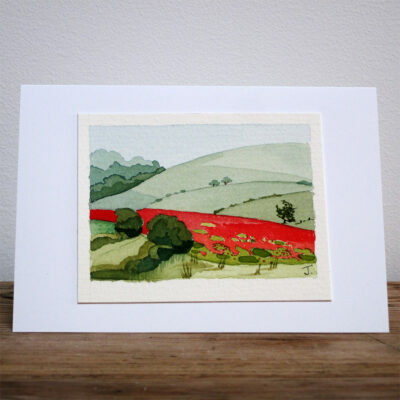 The South Downs National Park officially came into being on the 31st of March 2010. 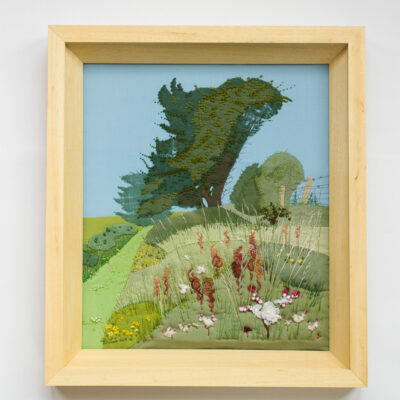 My project, ‘Textile Landscapes of The South Downs National Park’, is a celebration of this important event.